Vermont College of Fine Arts offers three different MFA programs for aspiring writers: MFA in Writing, MFA in Writing for Children & Young Adults, and MFA in Writing & Publishing. Learn more about each program here. Vermont College of Fine Arts’ MFA in Writing has been described by The Atlantic, Poets & Writers as “the best of the best.” Their 35+ years of experience in low-residency education in writing have resulted in a program that changes lives via a dedicated faculty and instilling a philosophy that the creation and appreciation of art is universal across continents, cultures and classes, and at the same time is intensely personal. Students report that the low-residency MFA in Writing at Vermont College of Fine Arts has transformed them, that in two years they’ve evolved, redefined themselves, continually committing to asking and answering the quintessential questions: does art matter? What makes a great writer? What makes me a great writer? Furthermore, students state that the MFA in Writing at Vermont College of Fine Arts has prepared them for a new future, has given them confidence in their individual vision of the world and courage to give voice to that vision. The first MFA program in the country to focus exclusively on writing for young readers, the MFA in Writing for Children & Young Adults was founded in 1997 and quickly attracted the attention of accomplished writers and publishers around the country. Students convene twice a year on their beautiful campus in the heart of historic Montpelier, Vermont for intensive ten-day residencies. Akin to a ten-day writers’ retreat, each residency offers workshops, lectures, and panel discussions, as well as readings by award-winning faculty, graduating students, and visiting writers. Faculty and alumni from the MFA in Writing for Children & Young Adults are New York Times bestselling authors, National Book Award Finalists, and Newbery and Caldecott Medal winners, providing expert contributions to the 20+ year program. A semester’s study may focus on a particular area such as picture book, middle grade, or young adult and include in-depth reading and critical writing of the wider field, including poetry and nonfiction. The flexibility of their model allows students to follow their particular interests and passions while developing lifelong artistic practices, all the while learning from the success of their VCFA colleagues. The MFA in Writing & Publishing is a two-year residency where students are given the tools to write books and survive in their cultural scene long after graduation. The program celebrates cross-genre and multi-disciplinary coursework with concentrations in poetry, fiction, creative nonfiction, new media, and stage & screen. Students can also opt for a hybrid-genre thesis. The innovative Publishing & Fieldwork curriculum is part writing workshop, part seminar on the history of independent publishing. Students make a publication from start to finish, collaborating as an editorial team, and going regularly into the “field” to learn from agents, editors, publishers, designers, and more. The Internship and Directed Study requirements are invaluable as students might work at VCFA’s literary magazine Hunger Mountain, TA at local colleges, learn the ins and outs of letterpress art, assist in creative writing classes at Montpelier High School, just to name a few possibilities. Throughout their two years in Vermont, students are always exploring the career possibilities available to writers: editing, publishing, teaching, working in the nonprofit arts scene, and so many others. 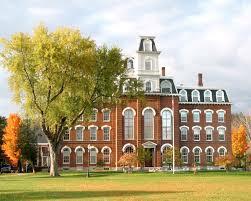 Apply to any of these MFA programs by clicking here.